So, you have bought a new Android phone and you want to transfer contacts from your old Android phone to the new one? As your older handset was based on Android operating system, you will be less worried about this stuff because transferring on the same system is pretty easy. Well, transferring contacts is one heck of an easy task when you know it. While you will find many ways to transfer contacts from Android to Android, we will keep it simple and straightforward. 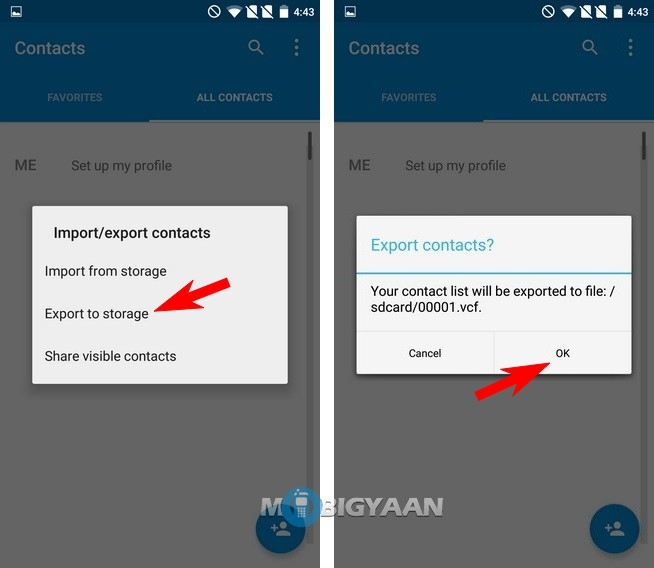 Let’s look at how to transfer contacts from Android to Android in a few steps. 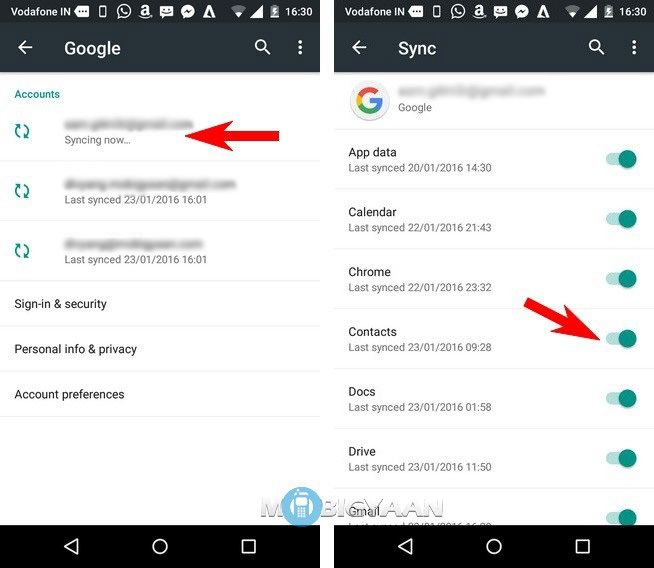 In most cases, when you login with the same google account on your Android device, your contacts will be automatically synced the moment you add it. However, it does require an internet connection and that’s just fine because most of the Android devices connect to the internet lately and sync the contacts without notifying you. 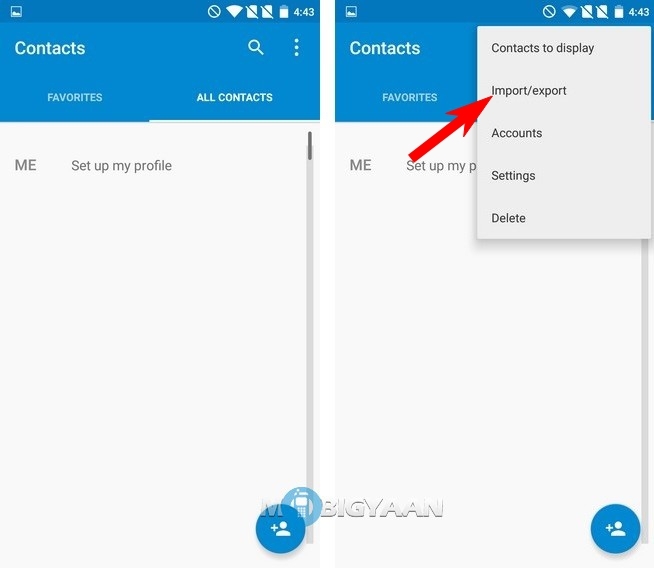 You will be pleased when you open the contacts app and find that your contacts are back without doing anything as Google account takes care of it. You can manually sync the contacts too. Go to Settings -> Accounts and choose Google. 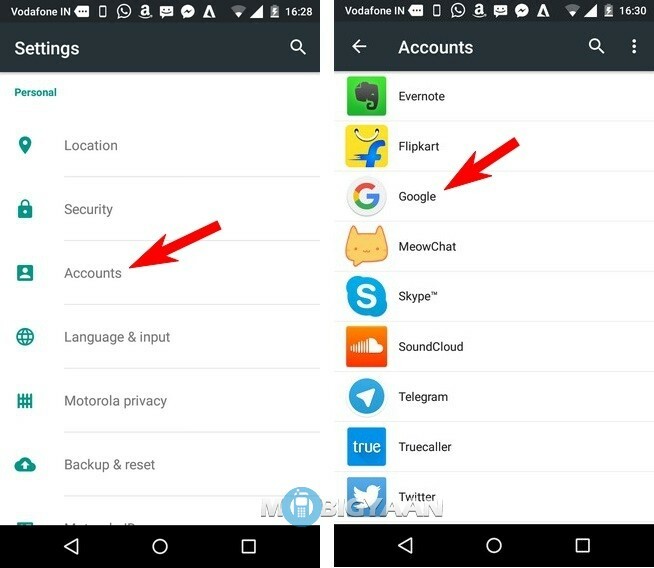 If you have added multiple accounts then find the one which you were using on the previous handset and tap it. Turn on the Contacts slider to sync. If it’s already on, turn it on again. There are times when people do not have internet connectivity when they setup the new Android device they have bought and they require the contacts at the first place. 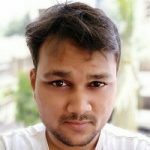 If you have no internet connectivity at the time you setup the Google account then follow the steps to get the contacts using an offline method. Step 1: Open Contacts app on your old handset and tap on three dots to open a menu. Tap on Import/export. Select Export to storage and tap ok. A file name 00001.vcf will be saved on your internal storage. Step 2: Transfer the saved file on your new Android phone using Bluetooth or USB. Open it to get all the contacts from your old handset. 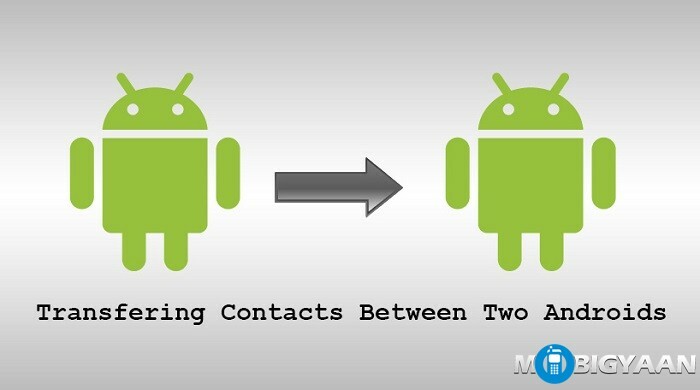 See our others guides on transferring contacts from iPhone to Android as well as transferring contacts from Android to iPhone. We believe that this is the easiest way to transfer contacts from Android to Android and if you have any other ways, share us in the comments. Also, comment below for the queries related to this guide, we will get back to you in no time. For more tutorials, take a look at our How-To Guides.